Summary: Water begins when seven-year-old Chuyia is married and then widowed after a pre-arranged marriage to an older man. Being sold by her parents, and then left a widow, she is taken to an ashram where she will have to live all her life according to Hindu tradition, in isolation, poverty and repentance. Without understanding why she is taken away from her parents, Chuyia’s head is shaved, her colorful wedding clothes are exchanged for a white loin cloth, and she must sleep on the floor. But the feisty girl rebels and turns the widow house upside down. Her desire to live soon influences the other women who have had to renounce life. In particular, she befriends the beautiful Kalyani, who has been forced by the head widow to serve as prostitute for the house and earn money for their food. It is Chuyia who leads her new friend to the handsome Narayan. 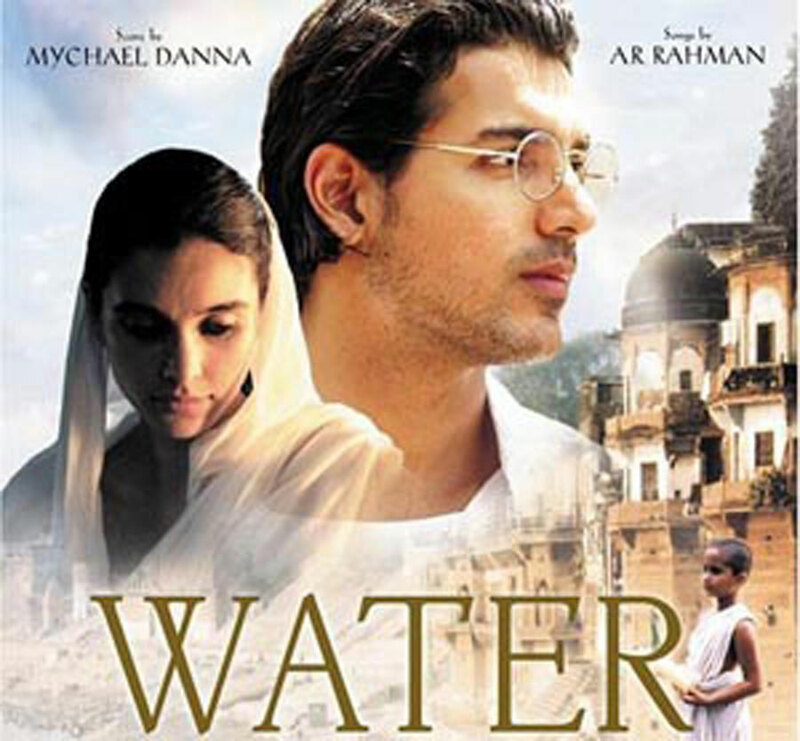 The film, Water is set in 1938 in a small village at the banks of the Ganges River. It is the time when Gandhi is rising to popularity with his civil disobedience movement to gain independence from Great Britain’s Colonial Empire. It was Gandhi who brought to the forefront the lack of human rights for India’s widows and child brides. He believed that in order for India to become democratic, it would have to promote women’s rights and renounce the caste system. A Hindu, Gandhi often said, “Truth is my God.” Gandhi’s presence in the film represents the director’s voice.